Advanced and effective surgery for varicose veins using laser ablation and duplex doppler ultrasound technology. The EVLA procedure is a minimally invasive treatment for varicose veins and Chronic Venous Insufficiency (CVI) in which a vein specialist inserts a laser fibre to ablate and collapse and close enlarged leg veins. 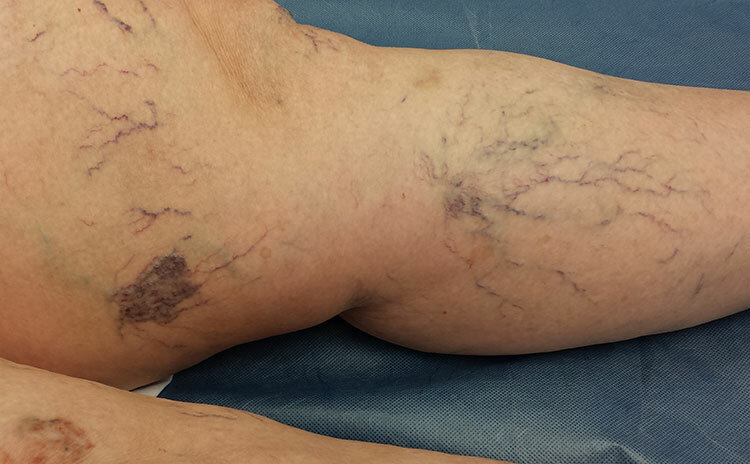 After the vein is sealed shut, blood then naturally re-routes to healthy veins. Dr Blignaut uses laser ablation in specific cases where Radio frequency ablation is not suitable. The EVLA procedure is performed in an office operating room under local anesthesia. It truly is a walk-in walk-out procedure that takes 20-40 minutes to perform. There is no need for hospitalisation or a general anasthetic - in fact using general anasthetic to perform the EVLA procedure adds the risk of an unnecessary general anaesthetic and extra cost. 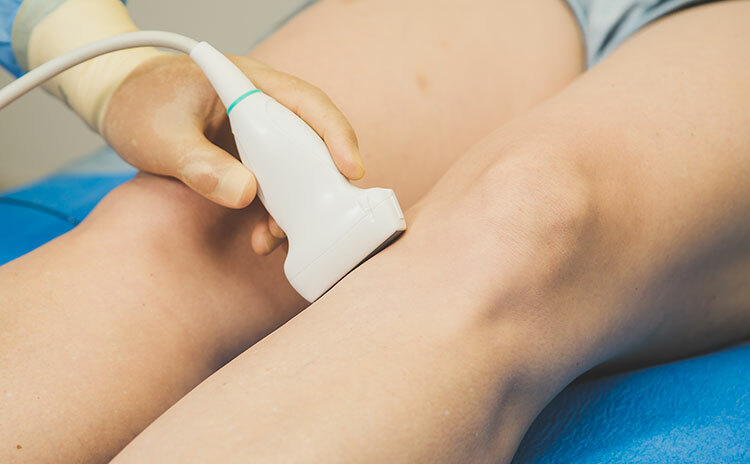 The conduct of an EVLA is almost the same as the Venefit™ procedure, Dr Blignaut maps out the veins to be treated prior to surgery using a duplex ultrasound. During the procedure, a small needle is inserted just below the knee. (This needle is the same size as a regular drip in the arm). This needle is replaced by a plastic cannula that allows for the passage of a laser fibreinto the vein. A dilute mixture of saline and local anaesthetic is injected around the vein, this is known as tumescent anaesthesia. 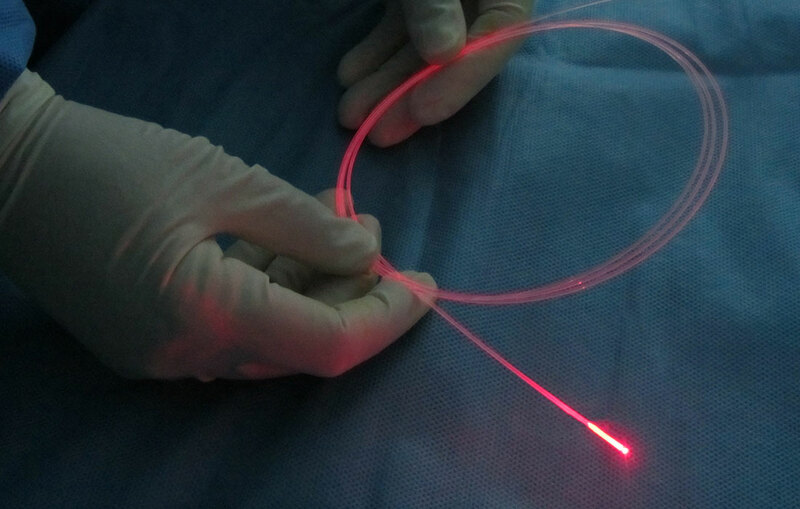 Once complete, the laser is activated and a precise amount of heat energy is delivered to the vein wall. The collagen in the vein wall shrinks, as the ablation proceeds, leaving a closed and sealed vein. Upon completion, the catheter is removed from the leg and a layered bandage applied. Most patients experience minimal discomfort during the procedure and no pain afterwards. For anxious or needle phobic patients we use a mild intravenous sedative prior or during the procedure. Even the most phobic patient can be comfortably treated with sedation. Patients leave the room once the procedure is complete. If no sedation was used, they may drive themselves home. The applied bandage is removed 24h later. You will be encouraged to walk everyday, but to refrain from strenuous activity for at least a week. Most patients who undergo endovenous laser ablation of their varicose veins typically resume normal activities within a day or two. Is laser ablation right for me? Endovenous thermal ablation procedures like EVLA and Venefit™ has replaced the old stripping surgery. Vein stripping surgeries date back to 1905, and has been long overdue for a complete overhaul. Vein stripping surgery is a traumatic experience for both the patient and surgeon. Clinical outcomes after surgery is often poor with a recurrence rate as high as 60%. Dr Blignaut does not offer vein stripping surgery to his patients, as this barbaric procedure should be religated to the history books. Patients with superficial perforator vein reflux, as demonstrated on a duplex scan, are ideal candidates for this procedure. Patients with deep vein reflux, usually due to an old DVT are often not candidates for this procedure. The only way to determine if you are a candidate to have your veins treated by laser ablation, is to have a duplex scan done by a vein expert like Dr Blignaut. The EVLA procedure is funded by most medical schemes in part or full, if performed by a surgeon. Medical aids like Discovery funds the procedure from your in-hospital benefit. This means that if you only have a hospital plan, the procedure is still funded. Other schemes that fund the procedure in part/full are Momentum, Medscheme, GEMS, Fedhealth, Camaf, Bonitas, Profmed, and Bankmed. Schemes that do not fund the EVLA procedure include Resolution health, Bestmed and Keyhealth. Keyhealth and resolution will make a payment towards the cost. The shortfall amount, as estimated, based on your medical aid and option is payable on the day of your procedure. Where no authorisation is obtained prior to the procedure, you will be required to pay in full and claim from your medical aid. If you are not on a medical aid, then we will provide you with a detailed quote. For medical procedure finance, you might want to consider approaching fhf.co.za or incred.co.za. For more specific information on medical schemes and pricing, please click here.